The Daily Mail featured the latest facial tightening treatment the Silhouette Soft Thread Lift also know as Puppet Threads. Speaking to Duquessa’s Katherine Millar-Shannon, who herself has undergone the treatment, determined this was the future of anti-ageing. 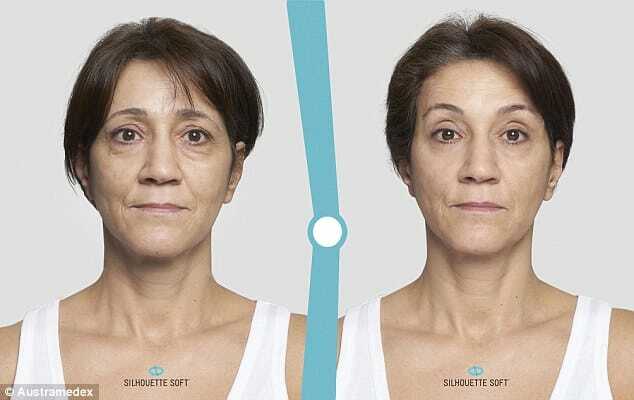 A new lunchtime facelift that promises immediate results in 30 minutes flat, with nary an incision or scar left behind, is now available in Australia. At first glance, the $4,000 ‘puppet threads’ facelift may not be for the faint of heart. The non-surgical procedure uses a re-absorbable thread that is inserted into the face with a needle. But cosmetic nurse practitioner Katherine Millar-Shannon said the procedure is completely painless. ‘You feel nothing at all,’ she told Daily Mail Australia. ‘You can’t even feel the needle going in.’ Katherine is the owner of Duquessa Skin Sanctuary, which is bringing the puppet threads facelift to Melbourne and Sydney. The treatment, suitable for patients 40 to 65, is meant to define facial outline, and can be used to help lift cheeks, brows, jowls, or the neck. Katherine, who underwent the procedure herself, said a local anaesthetic with adrenaline is used to help eliminate bruising and numb the pain. ‘There is no pain throughout the procedure, and you don’t feel anything for half an hour to an hour afterwards,’ she said. The adrenaline also pulls blood away from the needle’s entry point, meaning you won’t need any bandages afterwards. ‘Unless you get a bruise, nobody at work would know,’ Katherine said. There can be swelling and bruising for three to five days afterwards, but the procedure is also meant to provide immediate results. Puppet threads works in two simultaneous actions, giving an immediate lifting effect to the targeted area as well as a second regenerative effect that works over months. After the local anaesthetic is administered, a special thread made of Polyactic Acid is inserted under the skin with a fine needle. Tiny 3mm cones that are attached to the re-absorbable thread then anchor the tissue below the skin, tightening it while holding the thread in place. After the suture is inserted, the practitioner applies a slight pressure to reshape the surface of the skin and provide the lifting effect. The cones and thread stay in the skin and stimulate the production of collagen, which begins declining in women around the age of 30.